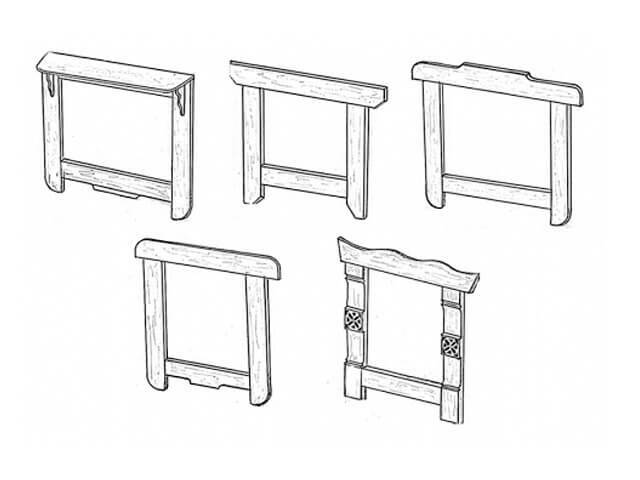 A frame casing box is used mostly in wooden houses, which are made of round logs or two-edged cant. 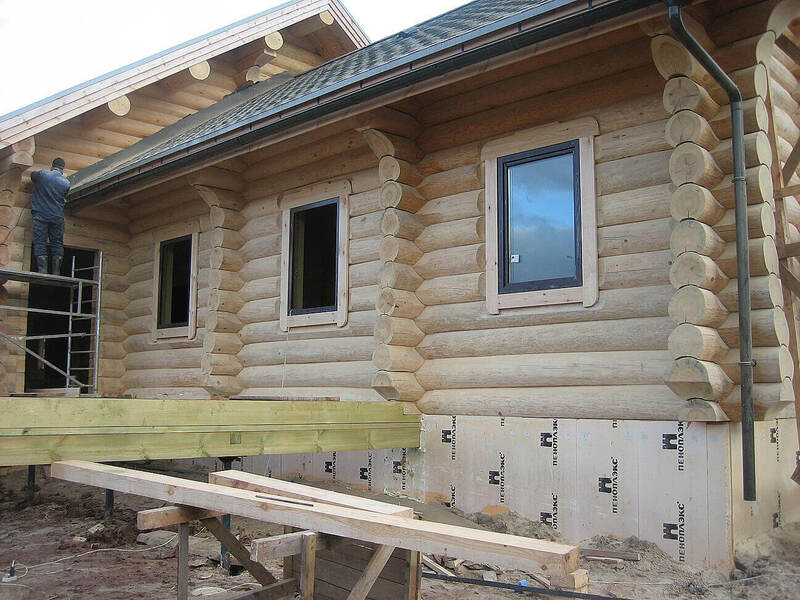 A frame casing box enables us to take into consideration a log cabin shrinkage without any consequences for windows and doors. A frame casing box is produced individually for every window or door opening. It is attached to a jamb that is fitted into a groove of a window opening. On account of this, the construction becomes flexible and sliding, which prevents the fastenings of a frame casing box from breaking during the house shrinkage. During the manufacturing process of a frame casing box the opening height is taken into account, with 4-6% of the height detracted depending on log moisture. Soft thermal insulator is used for top clearance. 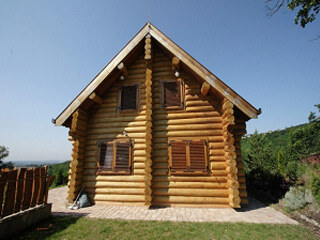 Upon house shrinking the insulator contracts without any effect on windows or doors. 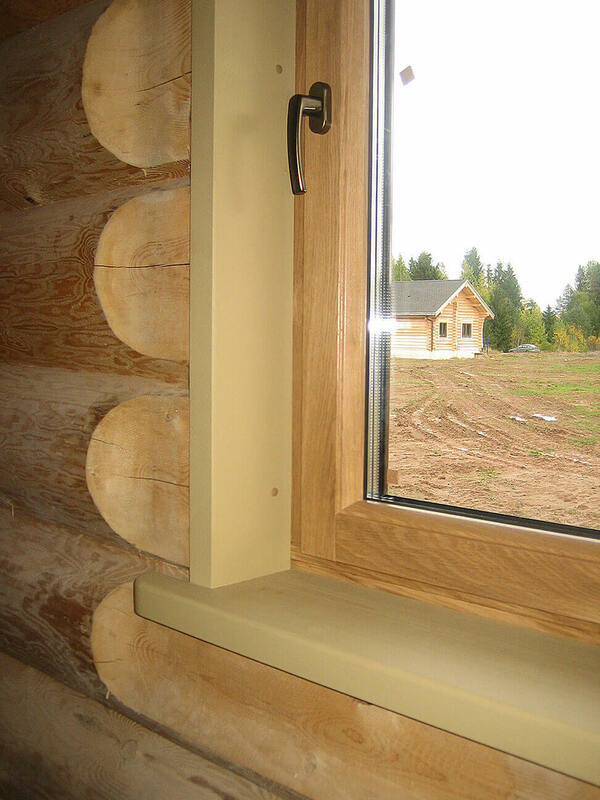 A frame casing box conceals vertical and horizontal log ends and simultaneously serves as a windowsill; as a result, you have a fully formed window or door opening. Exterior and interior platbands are attached to a frame casing box. It allows you to forget about house shrinkage in the future and to avoid changing platbands every six months, which would be the case, were they connected directly to the house. Such a construction of a frame casing box is designed for the installation of window and door frame units in the corresponding openings with as little effect of shrinkage as possible. It also gives a pleasant finished look to the openings. Consequences of an incorrectly manufactured and installed frame casing box may appear only a year later. You can place an order for frame casing boxes and platbands of any complexity and size.